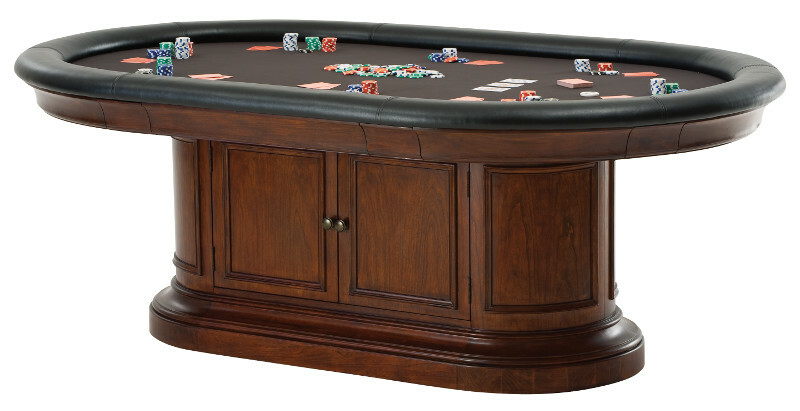 FEATURES/SPECS You'll never go to a casino again once you own the Bonavista poker and gaming table by Howard Miller. 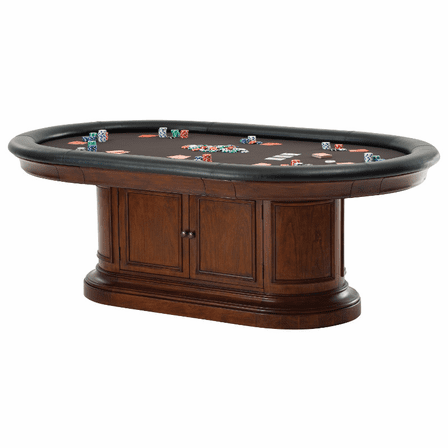 Constructed of solid wood with a rich rustic cherry finish, it has room for up to eight players. 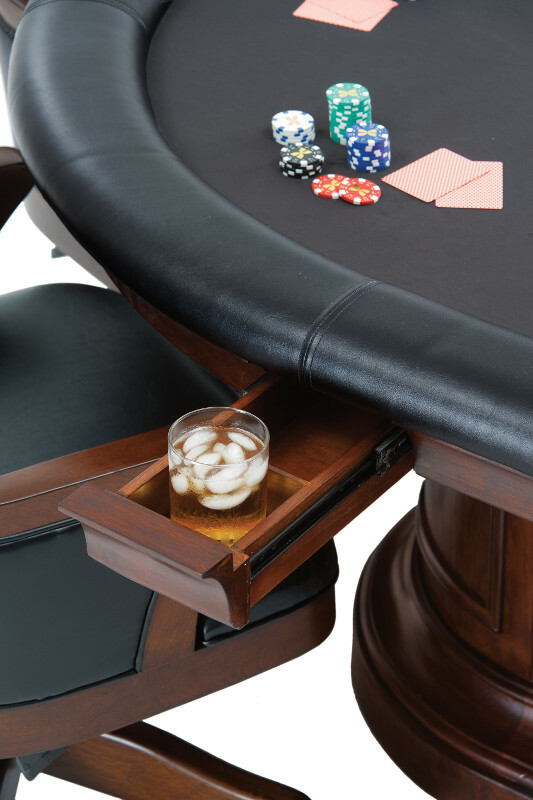 Each player has their own fully extending drawer for holding beverages and snacks. 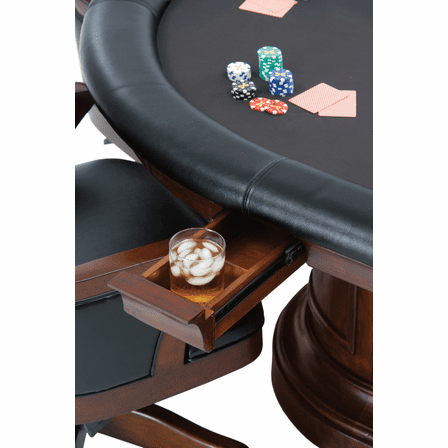 The playing surface is made of a black micro-fiber and is bordered by a padded faux leather armrest. 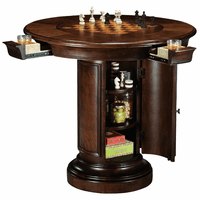 The base has a storage area enclosed by two hinged doors. 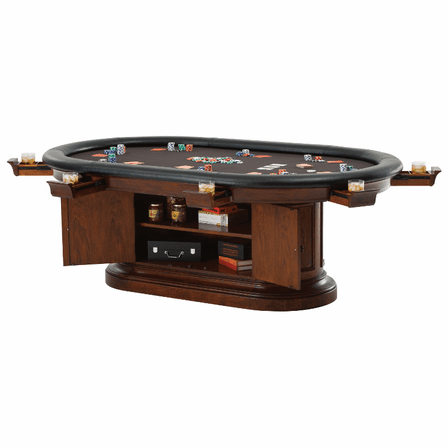 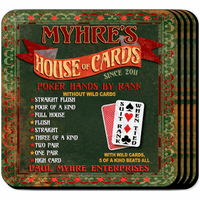 It has a fixed shelf and storage room for the included accessories: a set of 500 five color poker chips and two decks of playing cards. 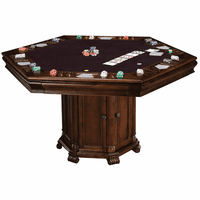 This Howard Miller poker table will delivered to you via freight shipping in about four weeks. 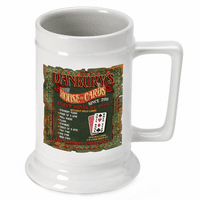 After your order is placed, we'll contact you to arrange a delivery date.